Ethiopia received a downward trend arrow due to the security forces’ disproportionate and often violent response to massive, primarily peaceful antigovernment protests in the Oromia and Amhara regions, as well as an emergency declaration in October that gave the military sweeping powers to crack down on freedoms of expression and association. Ethiopia is an authoritarian state ruled by the Ethiopian People’s Revolutionary Democratic Front (EPRDF), which has been in power since 1991 and currently holds every seat in Parliament. Multiple flawed elections, including most recently in 2015, showcased the government’s willingness to brutally repress the opposition and its supporters, journalists, and activists. Muslims and members of the Oromo ethnic group have been specifically singled out. Perceived political opponents are regularly harassed, detained, and prosecuted—often under the guise of Ethiopia’s deeply flawed Anti-Terrorism Proclamation. The 2009 Charities and Societies Proclamation drastically impeded the activities of civil society groups. Hundreds of people were killed in a crackdown on antigovernment protests that took place primarily in the Oromia and Amhara regions throughout much of the year. The Ethiopian government admitted to at least 500 deaths since the protests began in November 2015, while some human rights organizations report up to 800. Thousands of people have been detained in connection with the protests, and reports of mistreatment, including torture, while in custody are rife. In early October, Prime Minister Hailemariam Desalegn announced a six-month state of emergency that gives the government sweeping powers to deploy the military, further restrict speech and the media, impose curfews and movement restrictions, and monitor communications. Throughout the year, the authorities disrupted internet and mobile phone networks, and temporarily blocked social-media platforms and certain news websites, in an effort to prevent people from organizing and communicating about the protests. Ethiopia was wracked by protests throughout much of 2016, a result of widespread and growing discontent with ethnic and political marginalization and repressive rule by EPRDF. The largely peaceful protests were frequently put down violently by the security forces. 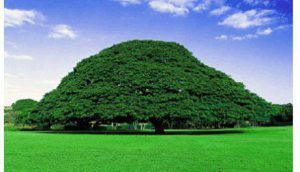 The protests had begun over ethnic and land rights in November 2015 in the Oromia region, and intensified in 2016, with significant additional protests in Addis Ababa and the Amhara region. In January, the government withdrew the contentious Addis Ababa Master Plan, which had been the rallying point for Oromo protesters who alleged that thousands of farmers would be displaced from their ancestral lands to make way for the capital’s expansion. However, the announcement did little to staunch larger discontent with the EPRDF, and demonstrations took on broader antigovernment dimensions and appealed to Ethiopians across ethnic lines. The protests were regularly met with excessive force by the police and the military, including the use of live ammunition and tear gas against crowds. Tens of thousands of people were detained in police sweeps, and reports of mistreatment, including beatings and torture while in custody, were widespread. Among those arrested or charged were leaders of the opposition Oromo Federalist Congress, including party chairman Merera Gudina and deputy chairman Bekele Gerba. In October, the government admitted that more than 500 people had been killed in connection with the protests since November 2015, though some rights organizations reported that the true figure is at least 800. In early October, the government announced a nationwide six-month state of emergency, enacting sweeping powers to deploy the military, restrict speech and the media, impose curfews and movement restrictions, and monitor communications. According to some estimates, nearly 24,000 Ethiopians were detained under the state of emergency, although about 10,000 were released in December. The demonstrations subsided in the wake of the emergency decree, but the government has taken little action to address the grievances of the protesters. In September, the government pardoned some 700 prisoners in its annual gesture, including 135 Muslims who had been convicted on terrorism charges. However, key religious, ethnic, and political leaders, as well as at least 16 journalists, remained behind bars, and a number of new arrests occurred in 2016; countless other political dissidents are still facing terrorism charges in lengthy and ongoing trials. Tensions between Ethiopia and Eritrea reached a boiling point in June, when the two militaries skirmished at the northern border town of Tsorona before returning to an uneasy peace. The full report for this country or territory will be published as soon as it becomes available.